PHILIPPINE National Police (PNP) Chief Oscar Albayalde and Armed Forces of the Philippines (AFP) Chief-of-Staff have signed a document recommending to President Rodrigo Duterte the extension of martial law in Mindanao for another year. “We have just signed a document together with the outgoing AFP chief-of-staff recommending the extension of martial law in Mindanao for another one year,” Albayalde said Wednesday, December 5. Albayalde said the implementation of martial law has resulted in a drop in crime incidence in Mindanao. “Because of the martial law, we have a drastic improvement in the peace and order situation in Mindanao where the crime volume dropped by 28,853 or 32.8 percent. 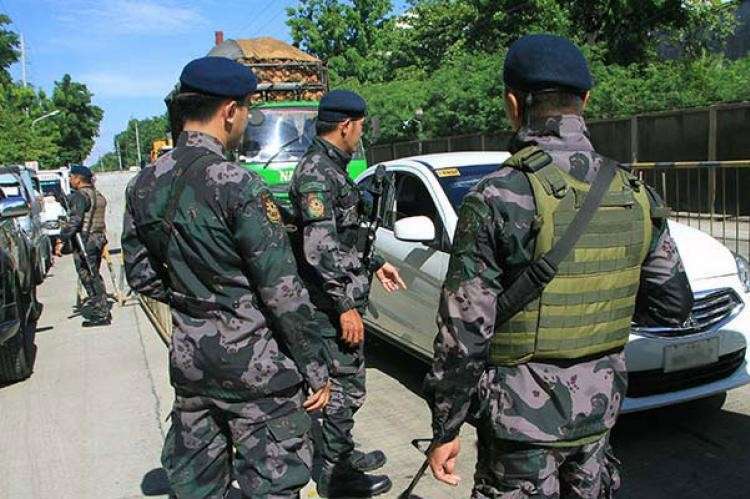 Because of the implementation of martial law and because of the forces present there now conducting target hardening measures, military operations, police operations, checkpoint operations,” he said. “In particular, we have recorded a drop of 44.2 percent in index crime, that includes murder, physical injuries, homicide cases. So these are all the good effects of martial law in Mindanao and also the recovery of almost 10,000 loose firearms in Mindanao,” he added. Duterte declared martial law in Mindanao on May 23, 2017, shortly after the Maute Group went on a rampage in Marawi City. Under the 1987 Constitution, martial law may be declared for 60 days. Congress, however, extended martial law until December 2017 and further to end-December 2018 despite the cessation of hostilities in Marawi. The declaration of martial law has drawn criticisms and sparked fears of human rights violations similar to those documented during the Marcos regime. However, Albayalde said there has been no reported incident of human rights violations since the declaration of martial law in Mindanao.